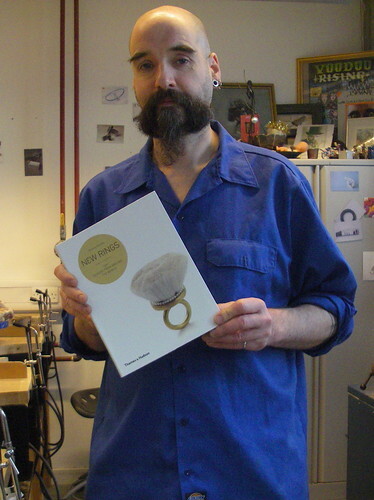 I had a delivery today of a book which I have been very excited about seeing: Nicolas Estrada's "New Rings" book, published in English by the venerable Thames and Hudson. Not had much time to read it, but it is looking to be full to bursting with brilliant jewellery. I should also say that my own "Four Cocktail Rings Of The Apocalypse" feature in it too. There is more about this book on Amazon.